Updated 10:15 a.m. with Nelson campaign’s recount request. WASHINGTON — The chairman of the House appropriations committee that funds NASA lost his reelection bid Nov. 6 as Democrats won a majority in the chamber, while a leading Senate Democrat on space policy appeared to lose his race for another term. Rep. John Culberson (R-Texas) was defeated in his bid to win a tenth term in the House by Democrat Lizzie Pannill Fletcher in the state’s 7th congressional district. Fletcher won more than 52 percent of the vote with more than 99 percent of the ballots counted, according to data from the Texas Secretary of State. 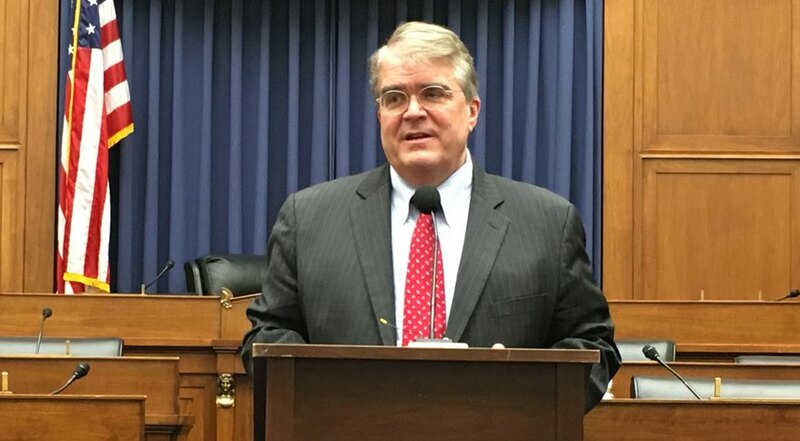 For the last four years, Culberson served as chairman of the commerce, justice and science (CJS) subcommittee of the House Appropriations Committee. That gave him jurisdiction over the budgets of NASA, the National Science Foundation and the National Oceanic and Atmospheric Administration. He used that chairmanship to advocate for increasing NASA’s overall budget, including $21.5 billion for the agency in a fiscal year 2019 bill approved by the full committee in May. Congress has yet to pass a final appropriations bill funding NASA in 2019, with NASA and many other federal agencies operating under a continuing resolution through Dec. 7. Culberson is best known for his support for missions to Europa, the icy moon of Jupiter with a subsurface ocean of liquid water that makes it potentially habitable. Culberson added funding well above administration requests for both Europa Clipper, a spacecraft to orbit Jupiter making multiple flybys of the moon, as well as a follow-on lander. That included $545 million for Europa Clipper and $195 million for the lander in the fiscal year 2019 bill, compared to the original request of $264.7 million for Clipper nothing for the lander. 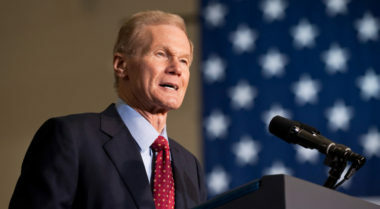 Sen. Bill Nelson (D-Fla.), ranking member of the Senate Commerce Committee, was narrowly losing his bid for a fourth term to Republican Rick Scott. According to data from the Florida Department of Elections early Nov. 7, Scott led Nelson by fewer than 35,000 votes out of more than 8.1 million ballots cast in the race. Scott, the state’s outgoing governor, declared victory late Nov. 6. Nelson had not formally conceded as of early Nov. 7, but a campaign spokesman said he would make a statement later in the day to “thank all those who rallied to our cause.” However, Nelson’s campaign announced Nov. 7 it would seek a recount, citing the narrow margin between Nelson and Scott. Nelson, who as a member of the House flew on a shuttle mission in January 1986, had been a leading voice on space policy in the Senate. He frequently worked together with Sen. Ted Cruz (R-Texas), chairman of the Commerce Committee’s space subcommittee, on issues like extending the life of the International Space Station, but also led the Democratic opposition to the nomination of Jim Bridenstine to be NASA administrator. Bridenstine was confirmed on a party-line vote in April. Cruz won a second term in the Senate in a widely watched race, defeating Democrat Beto O’Rourke 51 to 48 percent. Republicans retained control of the Senate with the defeat of Nelson and at least three other incumbent Democratic senators. Republicans, however, lost the House, with Democrats securing a majority of seats after eight years of Republican control thanks to Democratic victories like Fletcher’s defeat of Culberson. Other Republican members who lost reelection include Reps. Barbara Comstock (R-Va.) and Randy Hultgren (R-Ill.), who serve on the House Science Committee. Rep. Dana Rohrabacher (R-Calif.), who is also on the committee and has long been active on space policy, was losing to Democrat Harley Rouda in his reelection race with nearly all his district’s precincts reporting. Rep. Steve Knight (R-Calif.), another committee member, was losing to Democrat Katie Hill with most precincts reporting early Nov. 7. Most Democrats who had been serving as ranking members on committees are expected to become chairs of those committees in the next Congress. Rep. Eddie Bernice Johnson (D-Texas), ranking member of the House Science Committee, announced her intent to seek the chairmanship of the committee. “If I am fortunate enough to be elected chair of the Committee on Science, Space, and Technology, a committee that I like to call the ‘Committee of the Future,’ I know that there is much that we can accomplish as Democrats and Republicans working together for the good of the nation,” she said in a statement late Nov. 6. Johnson, in her statement, cited three priorities she planned to pursue as chair of the committee: ensuring that the country “remains the global leader in innovation,” addressing climate change and seeking to “restore the credibility of the Science Committee as a place where science is respected.” Space was not explicitly mentioned in that agenda. On the House Appropriations Committee, Rep. José Serrano (D-N.Y.) had been the ranking member of the CJS subcommittee, and would be in line to chair it in the next Congress. Serrano had not focused on space issues on the subcommittee beyond criticizing proposals to cut NASA education and Earth science programs.